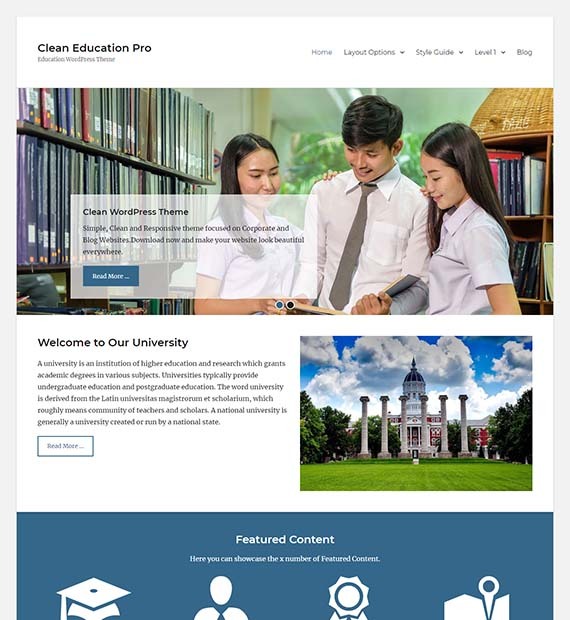 As the name defines the theme well, Clean Education is an education site based WordPress theme that is free, and responsive. The theme portrays the clean, and user-friendly aspect of layout and design. Being fully responsive adds to the appeal of the theme and makes sure that your site looks awesome no matter what device the user visits your site from. The comprehensive and professional looking theme is sure to take your education based site to the next level.